I love half marathons. And to be honest, I want my family to love half marathons, too. When mrC agrees to run them with me, I'm happy. 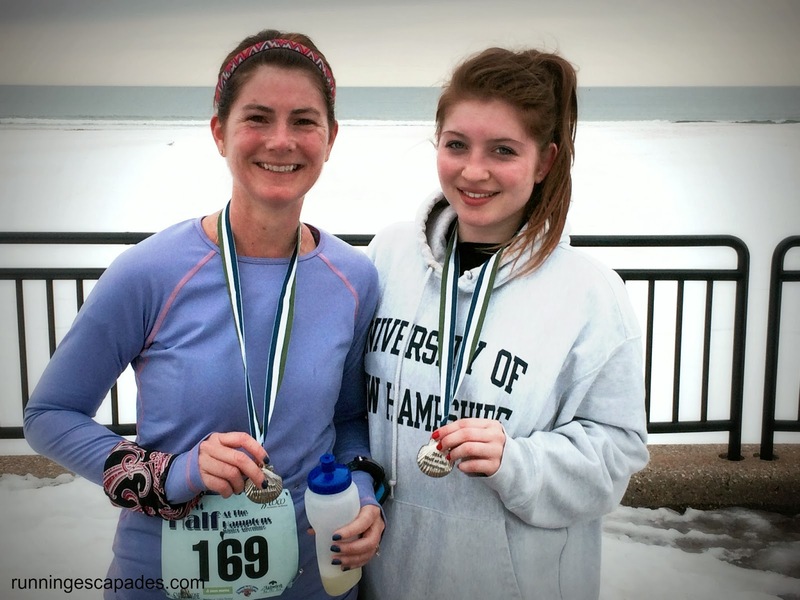 After my oldest step daughter ran her first half marathon last November, she was eager to run another so I cheerfully signed us up for Half at the Hamptons, my third race in the #14in2014 challenge. 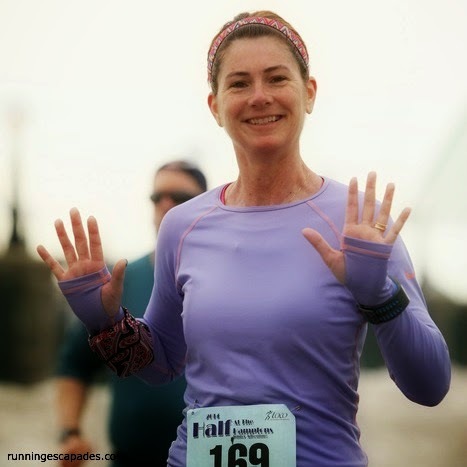 I ran this race in 2012 and loved it. 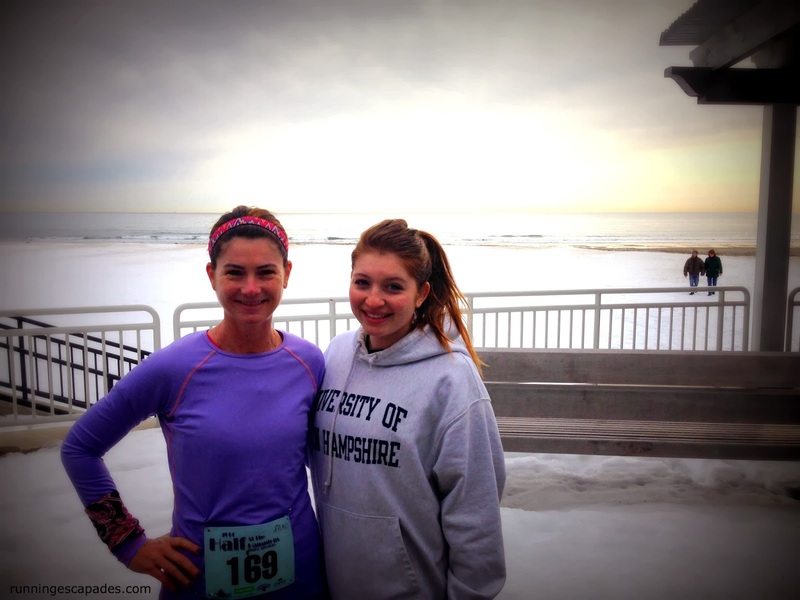 The course is flat and a large portion has scenic ocean views. This was supposed to be my comeback race. 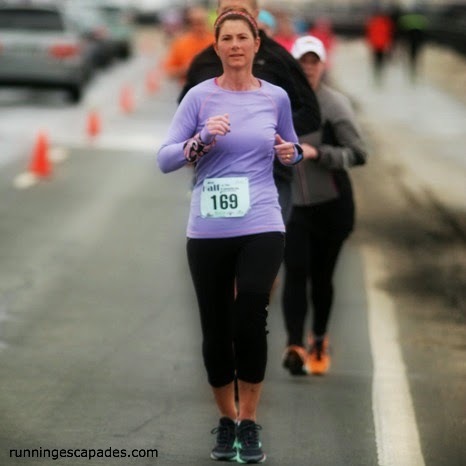 When I signed up, I was rebuilding my mileage after battling a hamstring issue that had lasted months longer than I ever imagined. I picked this race because I had time to train and the course would be leg friendly, aka flat. What I didn't count on was that my hamstring issue would persist and manifest into a tight ITB and then a cranky knee! Despite my pitiful training, I managed to get myself to the starting line. I knew there was a possibility that I might see my first DNF and I was ok with that. My step daughter and I made a plan to walk for 1 minute every two miles and hopefully we would make it. Her busy college schedule resulted in less-than-stellar training also. 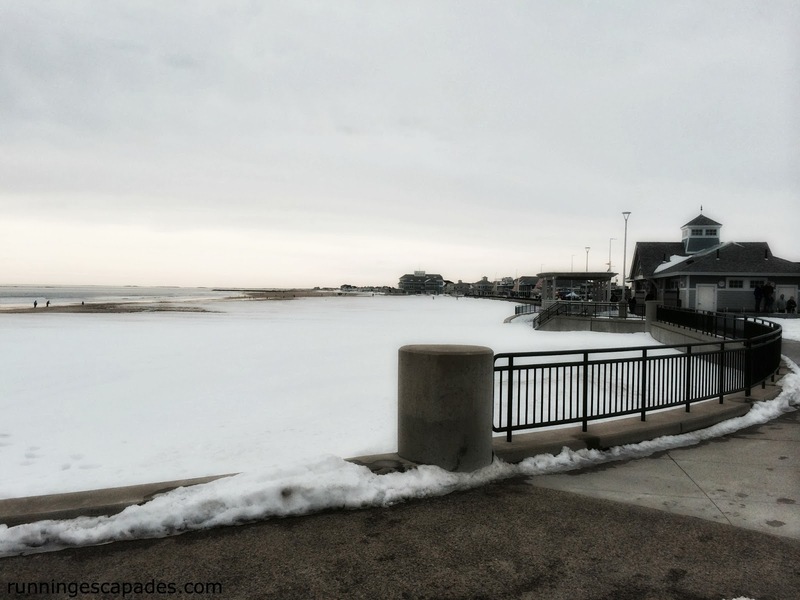 It wasn't sunny, but the wacky New England weather did cooperate. The rain held off and we had 40+ degrees with just light winds. The first 4 miles seemed to fly by. It helped that we ran past our cheer section twice. The crowd support along the boardwalk was amazing. By far the loudest and most enthusiastic was the Stonyfield van. After walking at mile 4, we were feeling pretty good, so we decided to walk every third mile. I grabbed water from the stations along the way to rinse out my mouth. Sometime around mile 6 my stomach started growling so I accepted some GU to supplement the Cytomax I brought in my Simple Hydration bottle. I was still smiling at mile 10, but my legs were starting to tighten up. My longest training run had been a 10 miler three weeks earlier. Just after passing mile 11, I needed to walk and stretch my tightening legs. My step daughter was anxious to get to the finish, so I urged her to keep going. It was a long final two miles to the finish, and even seeing mrC at mile 13 couldn't energize my legs. The last three weeks of non-running to care for my cranky knee caught up to me. I was so happy to make it to the finish line so I could stop running. It wasn't the finish I had planned on when I signed up, but I did finish and I'm happy with that. 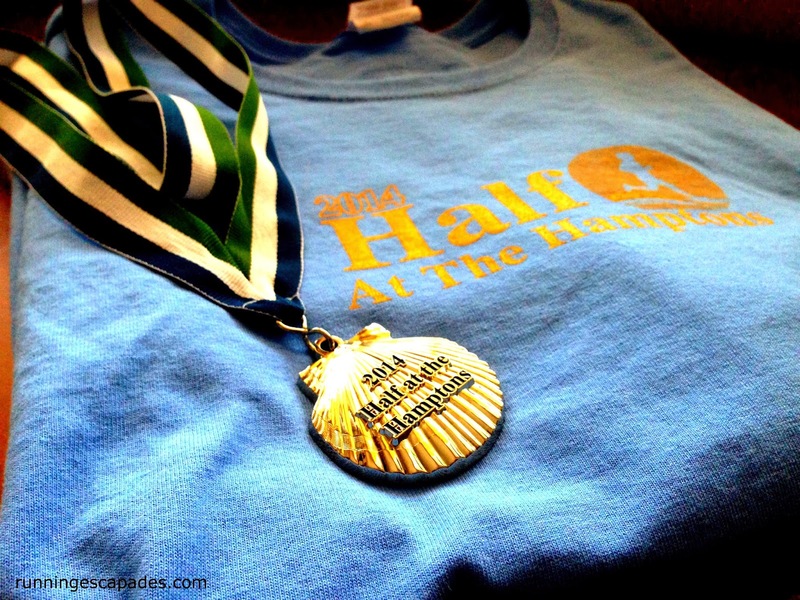 I'm glad I ran Half at the Hamptons again. There are lots of reasons to like this race besides the easy course and great views. 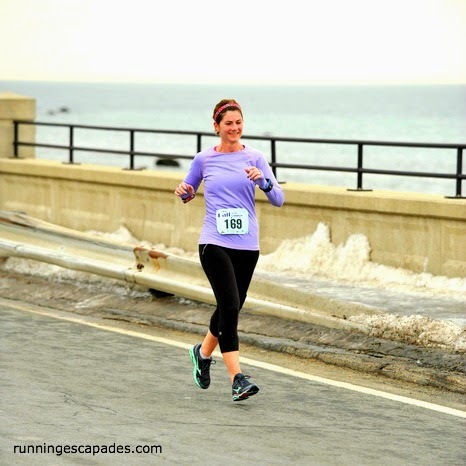 Have you ever had a "bad" race, but felt happy about it anyway?